Dr. Gran spent her childhood in Southern Connecticut where she spent much of her time being involved in 4-H. Dr. Gran completed her undergraduate studies at the University of Findlay. She was then accepted to Tufts University College of Veterinary Medicine, where she received her DVM in 2007. She then completed an internal medicine residency at Purdue University in 2011. 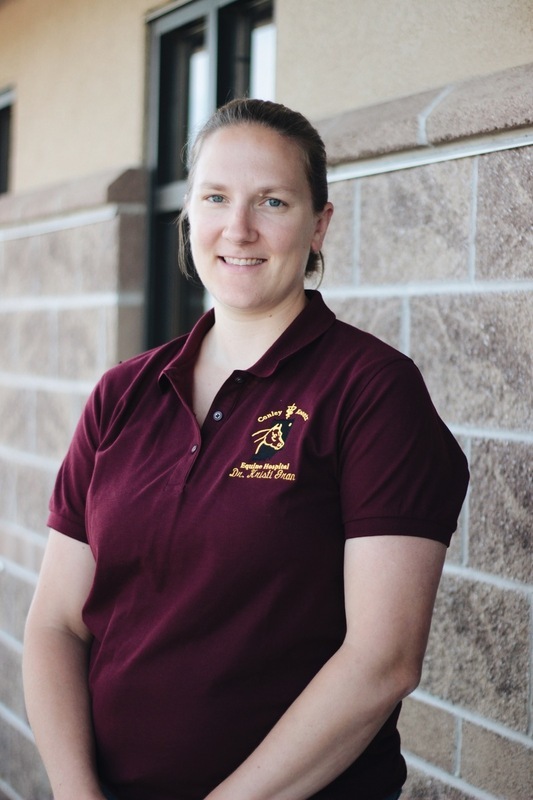 While she enjoys all aspects of equine medicine, she has special interests in foal care, metabolic diseases, exercise related problems, preventative medicine and ophthalmology. Dr. Grans’s husband, Mike, is a registered veterinary technician so “appropriate dinner conversations” don’t mean much to them. She enjoys spending time with her two kids, Alex and Skye, and two dogs, Squirt and Aria.